Sixty-six years after its independence, Pakistan confronts widespread civil unrest. After the death of its Quaid, Muhammad Ali Jinnah, the Islamic Republic of Pakistan, rather than become a beacon of admiration and hope for the Islamic world, is now one of the world’s most volatile states. Since its founding in 1947, Pakistan has witnessed an intensity of violence that has led this fledgling state to the edge of being classified a failed state by the international community. There are a myriad of explanations for the core problems of Pakistan such as ethnicity and the militarisation of politics. Nonetheless, one explanation that is rarely invoked to explain the violence is the use of religion by the state in exacerbating political tensions. The Pakistani state, although established on secular values, has had significant problems since its creation in separating religion from the political sphere. 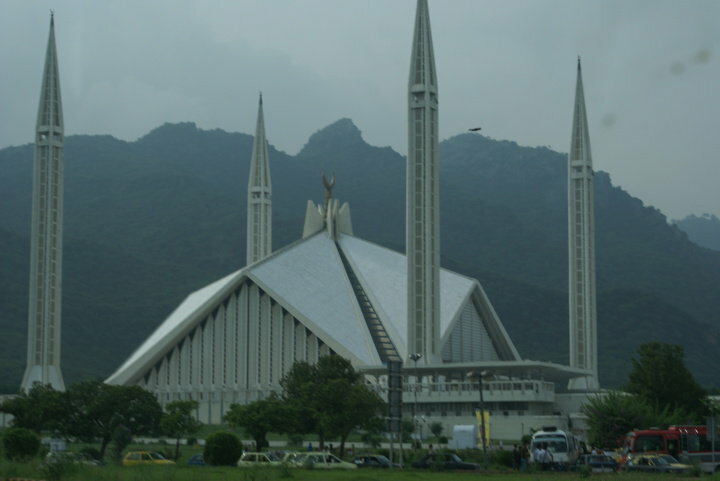 The religiosity of the people substantially curtailed the spread of secularism in Pakistan. Soon after its creation, Islam became ingrained into its political and civil spheres and has assumed a position as the de-facto ‘ideology’ of the state. So much so, that the Islamic Republic of Pakistan espouses Islam as part of its claim to legitimacy. In a country where many of its citizens are passionate about their faith, but confused about the role that Islam plays in society, the claim to political legitimacy based on religious values becomes fragile and open to critique and manipulation. Thus, even though Pakistan was established on secular grounds, the dynamic of religion overshadows Pakistani society and, for that matter, its political foundation, culminating in the spread of religiously motivated sectarian violence. Jinnah was able to foresee the dangers in Pakistan turning from a culturally Muslim to a theocratic state. Along with Iqbal and other Muslim scholars, he differentiated between the Islamic and the theocratic state and found no room for the latter in Pakistan. The initial conception of Pakistan for the aristocratically elite was a homeland for Muslims, as the Muhammadin and Hindu could not sit on the same throne and remain equal in power. Therefore, the struggle of an entirely Muslim state was initiated to give the self-conceived Muslim nation, an independent country and identity. After the establishment of the Pakistani state and the death of Jinnah, the ingrained religiosity of those who had advocated for a Muslim state started permeating into Pakistan’s political sphere. The assassination of Zulfiqar Ali Bhutto, the most prominent secular President since Jinnah, by Muhammad Zia Ul Haq in 1979, affirmed Islam as the legitimating discourse for Pakistan’s political rhetoric. Since the military dictatorship of Zia in the late 1970s the state of Pakistan has been manipulated on religious grounds not only by the political elite, but also by the masses. Factions among the population have used religion as a tool to not only to secure legitimacy within the state but also to advance personal and political agendas, thereby creating a conflation between state supremacy and religion. This tension between religion and the state has exacerbated ingrained religious differences among the different religious sects of the population, ultimately leading to widespread violence in Pakistan. The difficulties in trying to disentangle the secularity of the state from the ingrained religiosity of its people have arguably overwhelmed Pakistan. Due to the ‘Islamisation’ of the state under the military regime of Muhammad Zia Ul Haq, religion has since infiltrated its political culture, thereby exacerbating tensions within civil society. Paradoxically, rather than uniting the Muslim society and consolidating the state under the banner of Islam, religion has created a volatile environment. This has enabled sectarian elements to flourish and exert their influence, often violently, on the masses. It is only through the use or threat of force that the state can ensure the widespread acceptance of a particular interpretation of religious orthodoxy. Therefore, when the state invokes a particular version of religion as the basis of state legitimacy violence ensues. If the state lacks a monopoly on violence within society, the path is then open for others to contest this interpretation in favour of their own version. Thus, in the absence of an authoritative arbiter of doctrinal conflict, violence takes its place. Pakistan has been ineffective in advancing the legitimacy of the state independent of religion, which in turn creates a breeding ground for fundamentalist sectarian groups to assert violence within the state. *Fatima Writes from Brisbane. She is a doctoral researcher at the School of Government and International Relations, Griffith University. Quaid or Quaid E Azam, as Muhammad Ali Jinnah is commonly referred to in Pakistan, means founding father. Pakistan was ranked at number 13 on the 2012 ‘Failed State Index’ of Foreign Policy Magazine, see http://www.foreignpolicy.com/failed_states_index_2012_interactive, (accessed 12 October 2013). Anatol Leiven, Pakistan: A Hard Country (New York: Penguin Books, 2012), 125-126. Pamela Constable, Playing With Fire: Pakistan At War With Itself (New York: Random House, 2011), xi. Abdullah Adnan, “Pakistan: Creation and Genesis,” The Muslim World 96, no. 2 (2006): 213. In a speech in the Indian Legislative Assembly, on 7 February 1943, Jinnah had asserted, “religion, as such, being merely a matter between man and God, should not be allowed to come into politics;” cited in Hussain Ahmed, Pakistan: Islam, Politics and National Security; (New York: Praeger Publishers, 1982), 53-54. Abdullah Adnan, “Pakistan: Creation and Genesis,” 213. Alan Whaites, “Political Cohesion in Pakistan: Jinnah and the Ideological state,” Contemporary South Asia 7, no. 2(1998): 194. Although Zufliqar Ali Bhutto resonated and became immensely popular with the urban and rural poor, he failed to initiate appropriate policies within his Pakistan People’s Party (PPP) to fully achieve state control. Thus, with the coup of 5 July 1977, Zia was able to manipulate the masses by initiating a theocratic discourse for the state politics of Pakistan. Ian Talbot asserts: “Pakistan during the period of 1977-88 was not only authoritarian in political structure; it also aspired to be an ideological state … the goal of the Islamic state was deemed to be its main basis.” For further information see, Ian Talbot, Pakistan: A Modern History (London: Hurst and Company, 1998), 244-255. See generally, Murtaza Hussain,“Pakistan’s Shia Genocide,” AlJazeera, opinion posted 26 November, 2012, http://www.aljazeera.com/indepth/opinion/2012/11/201211269131968565.html (accessed: 23 February, 2013); Michael Georgy, “Special Report: Pakistan’s Threat Within: The Sunni-Shia Divide,” Reuters, 24October 2012; and AlJazeera, “ Deadly Bombing Hits Shia District in Karachi,” 2013, http://www.aljazeera.com/news/asia/2013/03/20133315617954671.html?fb_action_ids=10200606394345343&fb_action_types=og.likes&fb_source=aggregation&fb_aggregation_id=288381481237582 (accessed: 4 March 2013). The word Islamisation within this article is used in a dualistic sense. First and foremost it will be analysed as a policy tool under the military dictatorship of Muhammad Zia Ul Haq, to promote a singular version of Islam within the state as the official ideology of the country. Secondly Islamisation will be discussed in the larger sense as an ideology, which has corrupted the political system of the state thereby resulting in widespread sectarian violence throughout the country. See, generally, Hussain Haqqani, Pakistan: Between Mosque and Military (Washington D.C: Carnegie Endowment for International Peace, 2005); and Rohan Gunaratna and Khurram Iqbal, Pakistan: Terrorism Ground Zero (London: Reaktion Books Ltd, 2010).